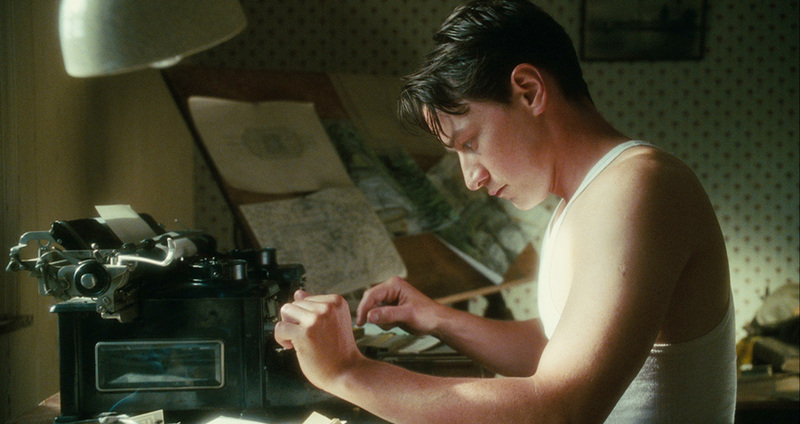 On December 7, 2007, Joe Wright’s Atonement mesmerized audiences when it opened in theaters. Adapted from Ian McEwan’s prize-winning novel by Christopher Hampton, the film traces how a lie told by a 13-year-old Biony (Saoirse Ronan) determines fates of her older sister Cecilia (Keira Knightley) and her working-class beau Robbie (James McAvoy). Spread over three time periods and places (an English estate, World War II battlefields, and contemporary London), the film unfurls as a sprawling romance which breaks your heart even as it confirms the power of love. Described by Rolling Stone as “some kind of miracle,” Atonement surprises at every level––with its most powerful twist coming at the end with a revelation that changes everything. This remarkable film went on to win a Golden Globe for Best Motion Picture (Drama), as well as be nominated for seven Academy Awards, winning one for Dario Marianelli’s innovative score. With Joe Wright’s latest masterpiece Darkest Hour now in theaters, we celebrate Atonement’s ten year anniversary by remembering the ways its filmmaking still enchants viewers. Get tickets for Darkest Hour now. It’s a model of adaptation. Ian McEwan’s exquisitely crafted novel Atonement––which was shortlisted for Britain’s prestigious Man Booker Prize­­––seemed nearly impossible to adapt. How “could anything as banal as a mere movie contain the intricate multiplicity of meanings and emotions and ideas that swim and shadow each other,” The Washington Post wondered. After Hampton convinced McEwan to let him try, Wright pushed the screenwriter to take his approach even further. Wright told him, “‘Let’s try and do it without a frame, so the audience at the end of the film is as surprised as the readers are at the end of the book.” This new approach not only made it for McAvoy one of “the finest piece of writing I've ever read, for film, stage, or television,” but a stunning example of how a film adaptation can work. “It's fitting, somehow, that a novel so devoted to the precision and passionate love of language should be captured in a film that is almost too exquisite for words,” adds The Washington Post. Christopher Hampton's adaptation is a model for how to turn a novel into a film. Atonement's five-and-half-minute tracking shot captures a moment in history. The costumes are stars on their own. Keira Knightley's famous green dress in Atonement. It’s locales have become tourist destinations. For the Tallis Estate, where much of the action in the first part takes place, production designer Sarah Greenwood needed a 19th century house with a garden to match, a house that captured the fading prestige of Celia’s and Briony’s family. After scouring various sources, she found the place in the pages of Country Life magazine. Abandoned in the 1990s, Stokesay Court at first seemed too derelict for the film. But with Greenwood’s vision, and the work of artisans who restored the central fountain, the estate proved the perfect setting. For owner Caroline Magnus, the movie “put the house one the map” and completely changed its fate. Today the location has its own website listing upcoming tours for those who wish to relive the glamor and romance of Atonement. 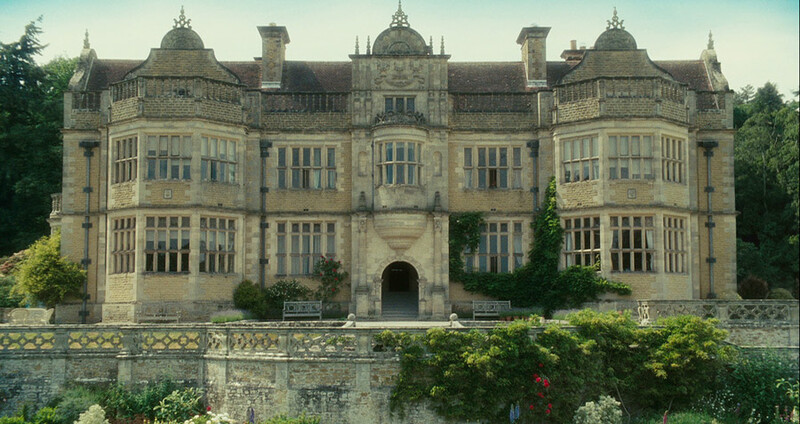 Atonement's Tallis Estate made Stokesay Court famous. It won an Academy Award for its ingenious soundtrack. Composer Dario Marianelli, who’d worked previously with Wright on Pride & Prejudice, found a fascinating way into the film’s base rhythm. “Joe started talking about the sound of the typewriter before I even read the script,” recalls Marianelli. “I went off and sampled every single keystroke, space bar, carriage-return from a 1930s Corona typewriter … Then I wrote five or six pieces for solo typewriter.” This mechanical flourish introduces us to Briony’s obsession with making things up. “It’s like some little cog got stuck in her mind,” Marianelli tells Today. Using this percussive theme to balance the film’s lush melodies, Marianelli creates movie music that went on to win him an Academy Award. Dario Marianelli used a typewriter to set the beat of Atonement. It introduced Saoirse Ronan to the world. 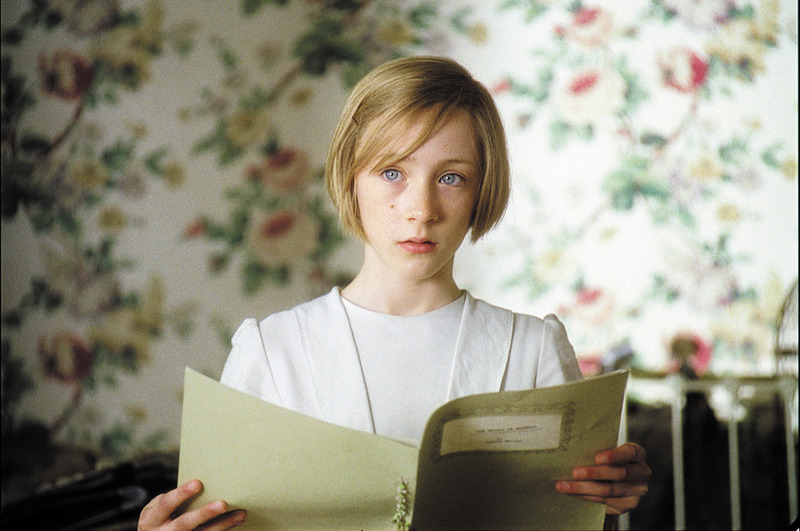 At the center of the Atonement is Briony, a little girl whose lie sets everything into motion. As the story progresses, the weight of her deception—and her need for atonement—steer the plot. To create the character, Wright needed three actors--Saoirse Ronan as the young Briony, Romola Garai as the character in her twenties, and Vanessa Redgrave as the older writer looking back on her life. To make them all work as one character, Wright hired a choreographer to teach the others to follow Ronan’s movements. Ronan would walk in a circle with the other two mimicking her movement. "We did little quirky things like that, because it's those kinds of little things that are [who] Briony is,” Ronan acknowledges. Wright’s decision to let the little-known Dublin actress define the behavior and spirit of Briony not only led to Ronan receiving an Academy Award nomination for Best Supporting Actress, but introduced the world to one of the finest young talents working today. Saoirse Ronan was nominated for an Academy Award for Atonement.